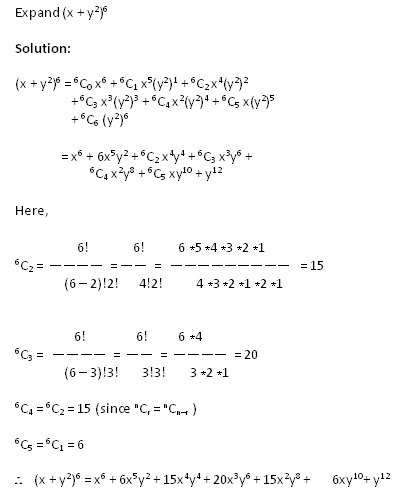 We know that any algebraic expression with two variables is called a binomial. 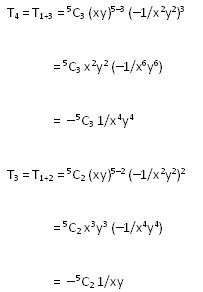 Observe the following powers of the binomial (x + y). What do you notice in the above expansion of various powers of (x + y)? 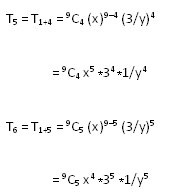 The number of terms in the expansion is one more than the exponent. 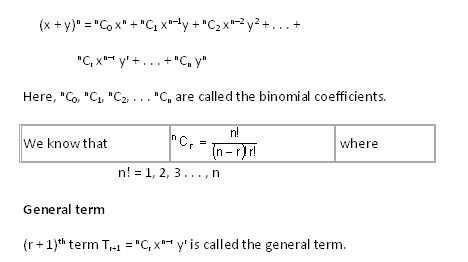 The exponent of the first term is same as the exponent of the binomial. The exponent of y in the first term is zero. 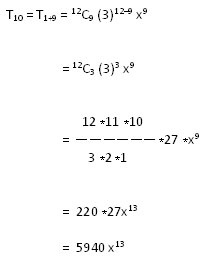 Subsequently, in each successive term, the exponent of x decreases by 1 with a simultaneous increase of 1 in the exponent of y. 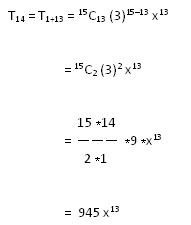 The sum of the exponents of x and y in each term is equal to the exponent of the binomial. The exponent of x in the last term is zero and that of y is equal to the exponent of the binomial. 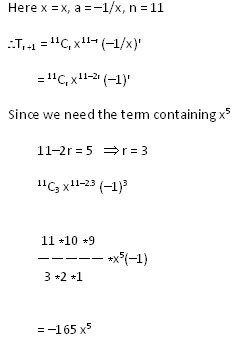 Find the constant term or the term independent of x in the expansion of (3x – 5/x2 )9. ∴ 4th term is the one independent of x, i.e., the constant term. Expansion contains 7 terms in it and 4th term is the middle term. Expansion contains 9 terms in it and 5th term is the middle term. Expansion contains 6 terms in it and 3rd and 4th terms are the middle terms. 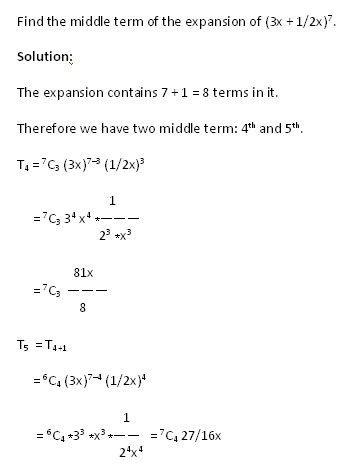 Expansion contains 5 terms in it and 3rd term is the middle term. Expansion contains 10 terms in it and 5th and 6th terms are the middle terms.